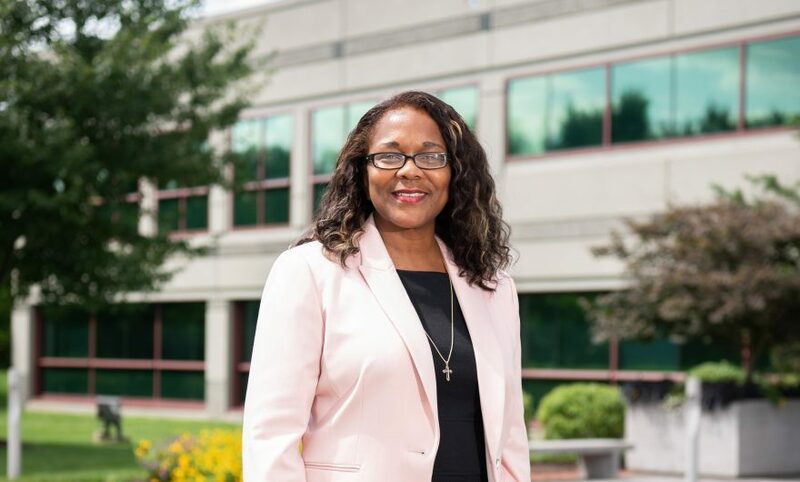 When Royce Warrick left a longtime position as commercial legal director of a Fortune 100 chemical manufacturer’s multibillion dollar business based in downtown Philadelphia, it was for a more expansive—and maybe more adventurous—role, down the highway in Wilmington, Delaware. For that was where, just days earlier in July 2014, Solenis had sprung from what had been Ashland Water Technologies, a division of Ashland Inc., having been acquired by a New York City-based private equity firm. The name, Solenis, an amalgam of the words “solutions” and “genesis,” captured the vision of the new specialty chemical company, dedicated to building on its historic commercial foundation of being at the forefront of delivering innovative technologies and expertise to help solve critical customer challenges in such water-intensive industries as pulp, paper, oil and gas, chemical processing, mining, bio-refining, power and municipal. Headquartered in Delaware’s largest city, Solenis operates more than 30 manufacturing facilities globally, conducts business in 118 countries across five continents, and employs approximately 3,800 professionals. 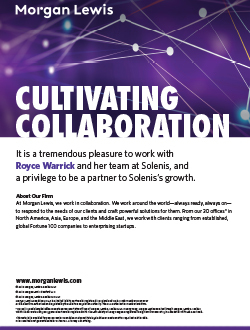 That scope and scale give Warrick the opportunity to lead an international team of in-house attorneys and other legal professionals supporting all aspects of Solenis’ operations. 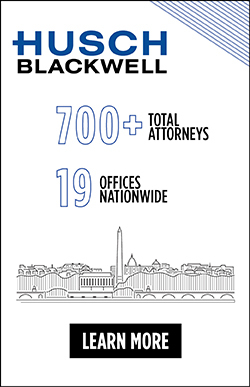 It is a complex assignment, but one she and her legal team, which Warrick describes as “smart, knowledgeable, savvy, versatile and tireless,” welcome on a daily basis. “It was quite exciting to have a chance to join a team that was essentially building a company from the ground up,” Warrick tells Vanguard. “Yes, there was an element of risk to the journey mapped for Solenis, but that just added to the excitement.” Warrick embraced the opportunity to join the Solenis team, and envisioned leading a legal team whose members, although never relinquishing the responsibility of being “the lawyer in the room,” would deploy that stewardship through a solutions-based legal model that would not only help grow the company, but effectively manage the challenges and opportunities of creating and sustaining a global stand-alone business. 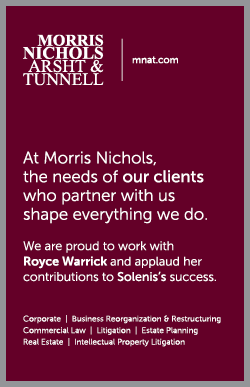 Warrick and her team are responsible for the delivery of legal services across the Solenis organization, covering all operations including commercial transactions, ethics and compliance, intellectual property, mergers and acquisitions, human resources, communications, finance, litigation, corporate governance, marketing, information technology and procurement. 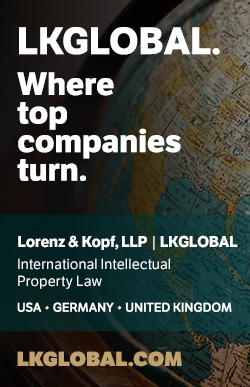 Couple that with Solenis’ strong focus on growth in emerging markets like China, Poland and Brazil, and you can clearly see the positive impact an experienced and steady legal team can have on the business and the company’s culture. 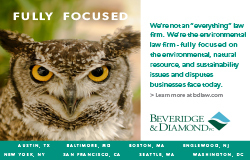 It makes sense then, that the Villanova University law grad also sits on the company’s executive committee and senior leadership team. It’s been an action-packed four years, she says—“100 miles per hour since day one”— but Warrick believes the most exciting times are yet to come. “The change here has been constant as the company evolves. It’s what we do. It’s who we are. A group of people committed to addressing the constantly changing needs of our customers, operating in dynamic markets worldwide,” Warrick says. Despite a full plate in the work arena, Warrick, the mother of three daughters ages 17 to 24, still finds time for community-based activities that tap into her passion for promoting education and encouraging young people to strive to be future pillars of their communities who effect positive change in the lives of others while excelling in the use of the God-given talents and gifts Warrick believes everyone possesses. Warrick, the daughter of two community-minded parents, embraces the opportunity to sustain their legacy. Her activism extends to being a trustee and founder of the Roy Blair Paige Foundation and Memorial Scholarship, named after her late father, a community activist and youth mentor, whose legacy Warrick helps sustain through her community engagement. Her passion for education came naturally, not only through her father, but also her mother, who was a life-long primary school educator. 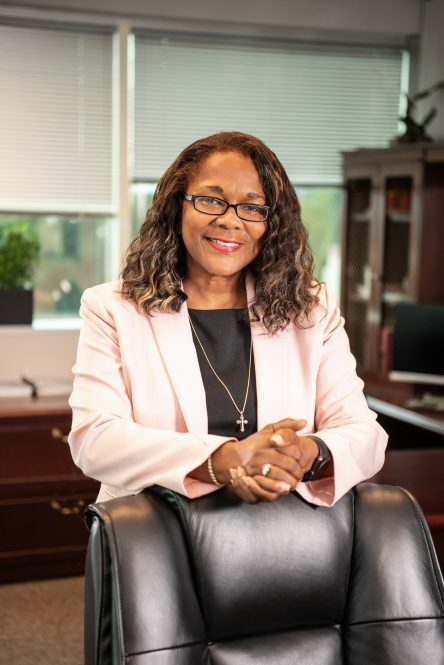 Warrick is also a founding leader of the St. John Baptist Church (Camden, NJ) College Prep Ministry, and a former board member of the STEM-focused Invent Now Kids®, a subsidiary of the National Inventors Hall of Fame Foundation commissioned by the U.S. Patent and Trademark Office. “Sometimes, I am a driver, a worker, a leader or an enabler. Whatever is needed to get the job done,” she says. That’s true on and off the job.